If you enjoy campgrounds that are secluded, Tuweep Campground is just for you. This might be one of the most secluded campgrounds in the country. Tuweep is approx. 140 miles west of North Rim and 70 miles southwest of Fredonia. Just being secluded isn't the reason you come to Tuweep campground, it is the views! Nearby Toroweap overlook sits at the top of a 3000 foot drop into the Grand Canyon. Camping is prohibited on the land adjacent to the park and the airstrip. Horses and mules are prohibited. 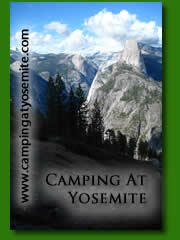 There are nine small group campsites for up to six people in each site and up to two vehicles. There is one large group campsite for seven to 11 people and a maximum of four vehicles. - Pets must be leashed and are restricted to open roads and the campground. - Vehicles and vehicle combinations longer than 22 feet are prohibited - this is the total length from end to end, including anything towed. Parking is available for non-high clearnce vehicles approximately 1.5 miles before the campground. High clearance vehicles are required beyond this point. The last few miles can get pretty slick when it gets wet, so if it is raining, be extra careful. Bring an air compressor, tire plugs and a jack. Tow service is not always available and can cost from $1000 to $2000 if you can get one to come out. When traveling to Toroweap Point, Make sure you fill up on gas and supplies, because it is a long, long way back to civilization. There is a ranger station just north of the campground that has emergency water. Whatever you do don't forget to bring your camera. Bring emergency gear and water. Trail markers in the are are marked with cairns (stacks of rocks). Shade and water are not available. Walk only on trails, roads and washes. All trails are closed to pets, bicycles and vehicles. the second leaves from campsite 10. Saddle Horse Loop Trail: This 45-minute loop offers spectacular views of the Colorado River. Access the trail along the road between Toroweap Overlook and Tuweep Campground or from a trailhead near campsite 5. For those looking for a tough hike, look no farther than the Lava Falls Trail. The Lava Falls Trail is the shortest one way trip (and a 3000 foot drop) to the rivers edge in the entire National Park. It is not easy either. On the hike you must watch out for sliding lava rock, rattlesnakes and scorpions. Oh, did I mention there is no water along the way. Once at the bottom, you can witness the roughest whitewater rapids on the river. River guides commonly rate Lava Falls rapids at a 10+ on a scale from 1 - 10.
long and impassable when wet.